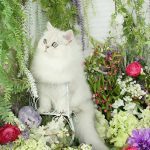 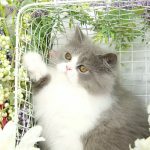 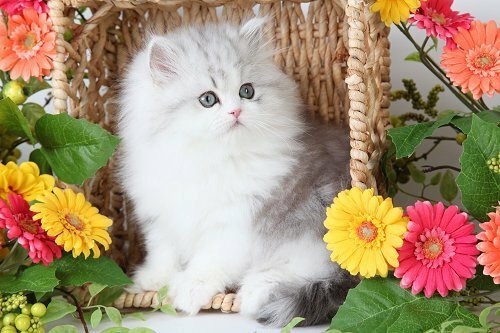 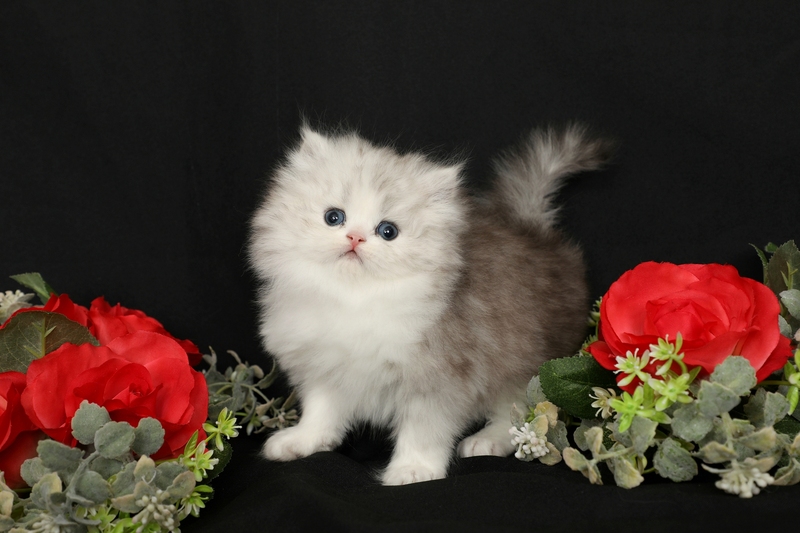 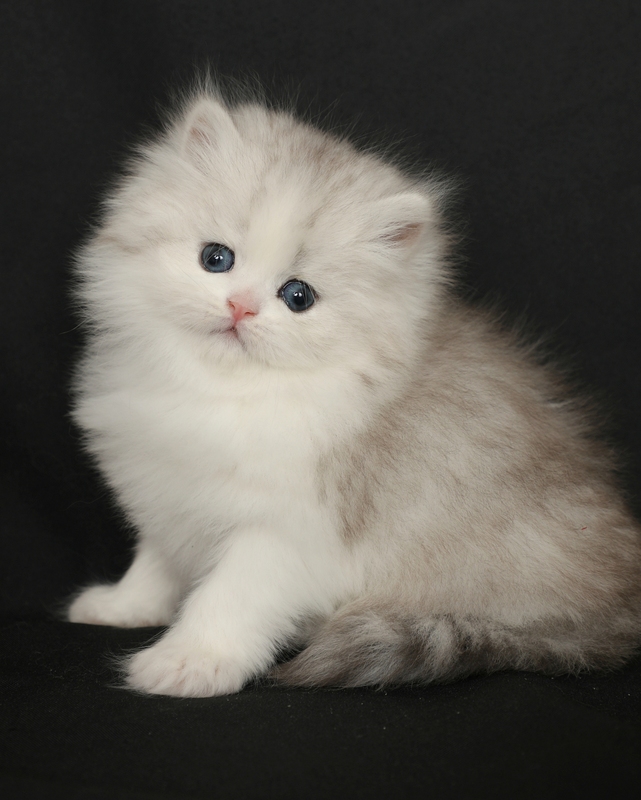 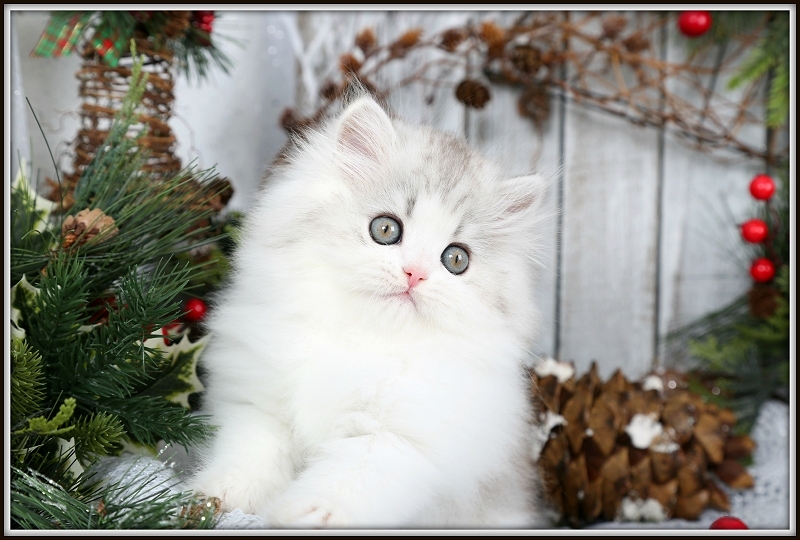 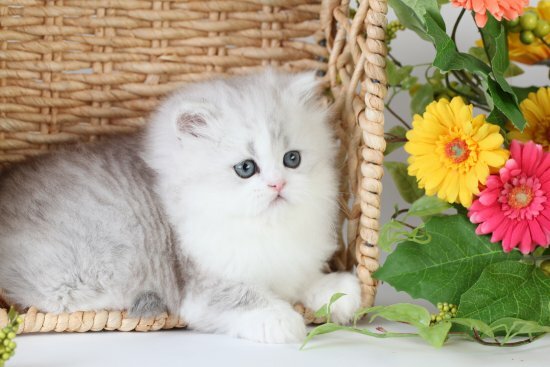 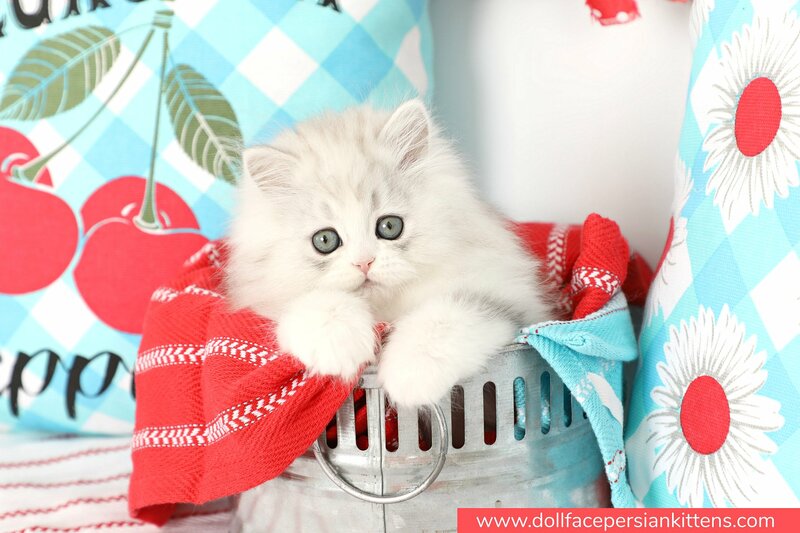 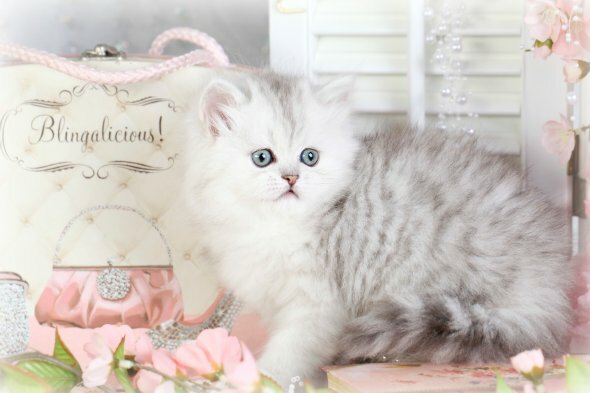 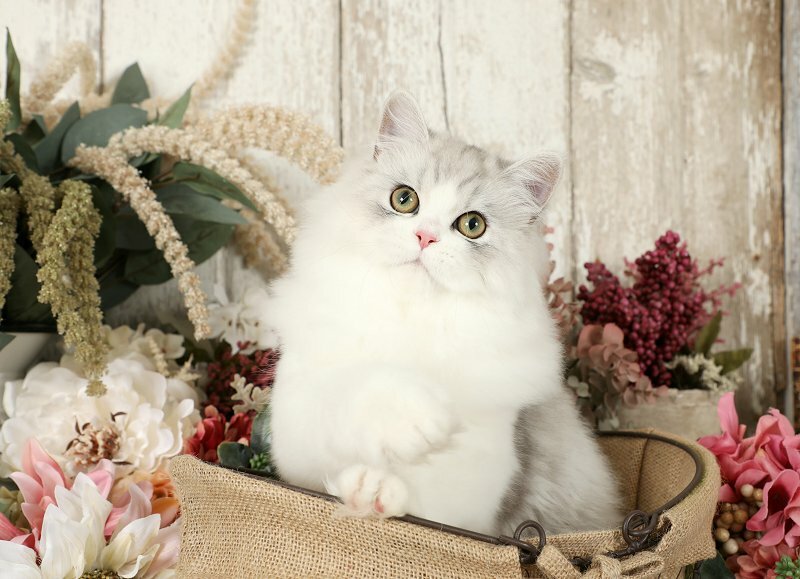 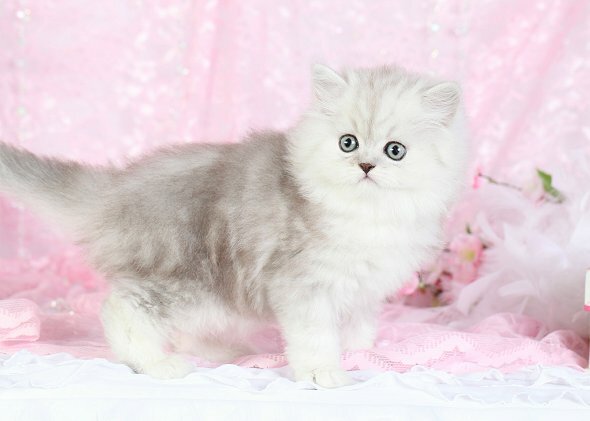 Silver & White Persian Kittens - Doll Face Persian KittensPre-Loved Persian Kittens For Sale – (660) 292-2222 – (660)- 292-1126 – Shipping Available!! 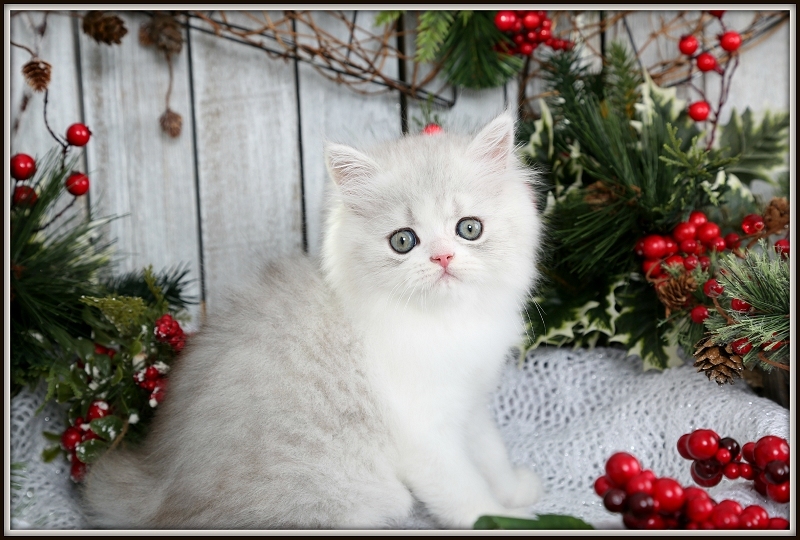 Pictured on this page are some of our past Silver & White Bicolor Persian kittens. 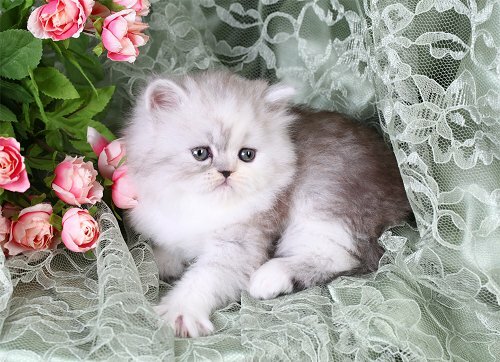 This is such an interesting color category! 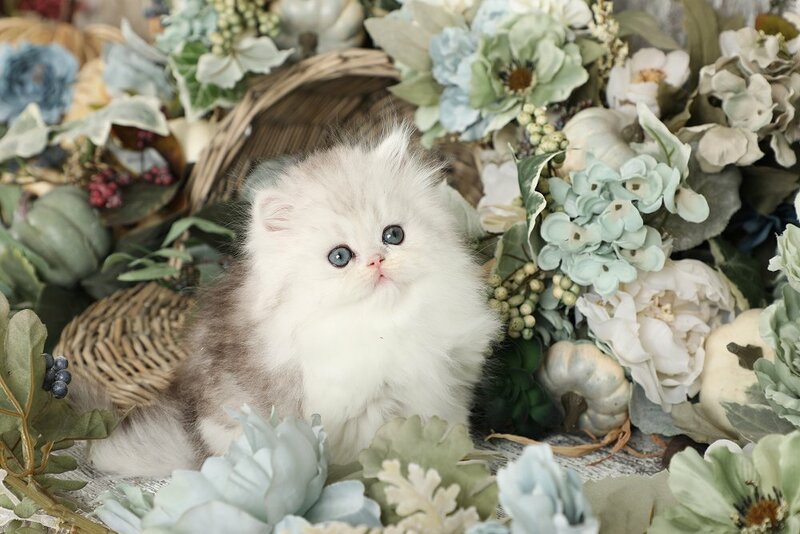 So shabby chic! 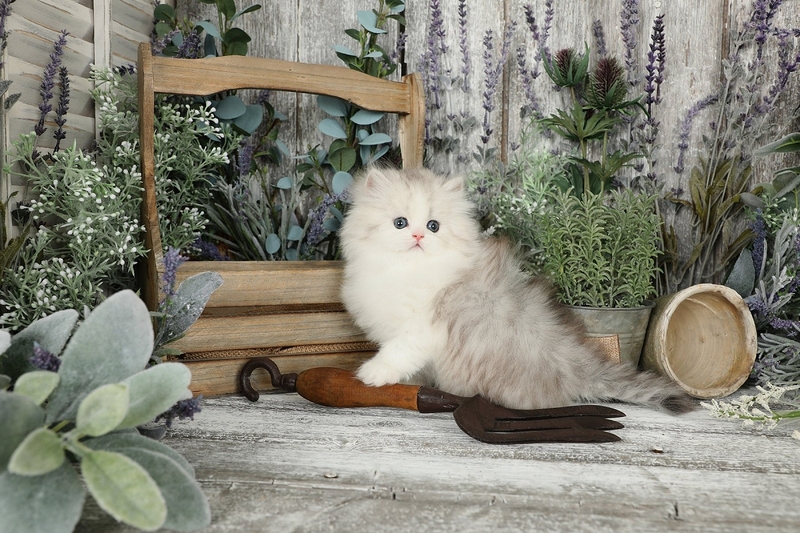 Below is one our beautiful Silver & White Persian Kittens kittens playing with a wand and making biscuits!